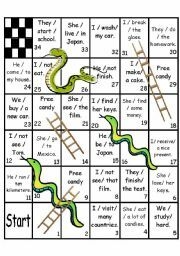 Snakes and Ladders game to practice Present Perfect. 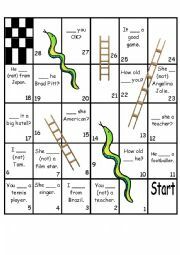 These are some ideas for teachers to use in class. 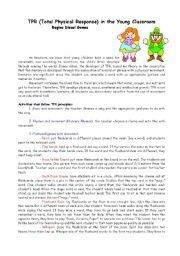 I prepared this worksheet to present in a workshop for English teachers in my town. There are a lot of activities foccusing on movement and following TPR principles. 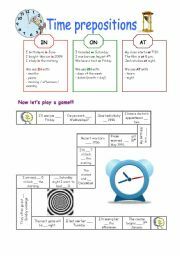 My students have a lot of fun with these games. Even teens and adults like it. I hope your students have fun with them!!! 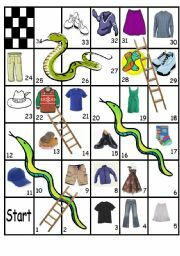 This is a SNAKES AND LADDERS game to practice CLOTHES. 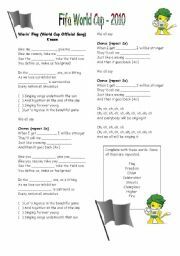 Students can play in pairs or small groups. When they stop at the picture, they have to say the word in English. 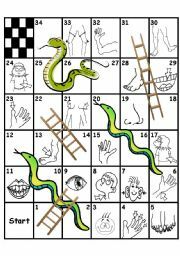 If they stop at the beginning of the ladder, they go up; if they stop at the head of the snake, they slide down. It´s a very fun game!!!! 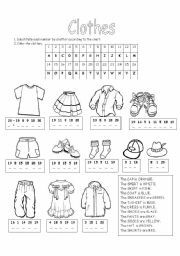 A worksheet to practice clothes vocabulary and colors. 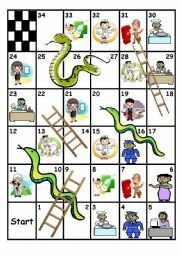 Students write the names of each word using the alphabet box and the numbers provided. Then, they color according to the sentences in the box. Hope you like it!!! 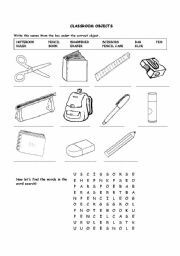 A vocabulary exercise and a word search to practice the vocabulary related to school objects. This is the song "Waving Flag", theme of the World Cup 2010. Hope you like it!! A presentation with places at school and a matching game with the pictures and the names of the places.